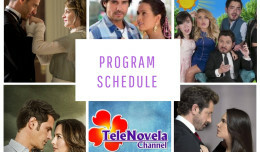 Passion: Episode 25 | TeleNovela Channel - Bringing you closer to lifes drama. A kiss sets Don Jorge on fire and he contrives a plan to prevent Ricardo from getting cozy with Camila. Don Jorge approaches Justo and tells him he has found a suitable husband for his daughter.